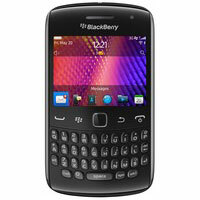 The BlackBerry Curve 9350, 9360 and 9370 smartphones all feature built-in NFC capabilities as well as upgraded processors, displays and memory. Research In Motion (RIM) has announced three new BlackBerry smartphones, the BlackBerry Curve 9350, BlackBerry Curve 9360 and BlackBerry Curve 9370. All three phones include NFC. “These new models are designed to address a large and important segment of the global mobile phone market where customers are looking to upgrade their existing feature phone or existing BlackBerry Curve with an affordable, easy-to-use, full-featured and socially-connected smartphone,” says RIM. The three new phones all also include upgraded processors, displays and memory, run the new BlackBerry 7 operating system and a new version of the BlackBerry browser.